Pull the lever and tilt the seatback forward. Move the seat to the front-most position. 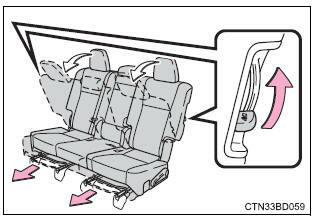 Pull the lever on the side of the seatback and tilt the seatback forward. 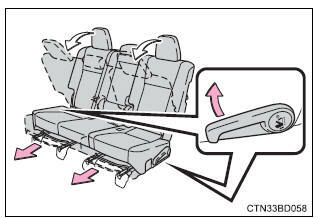 Lift up the seatback and slide the seat backward until it locks.